The Campbell Hausfeld air angle die grinder (TL054100AV) has an angled head to work in tight spaces. It operates at a fast 20,000 rpm to quickly smooth sharp edges, deburr, polish, port and grind a wide variety of materials including metal, plastic and wood. 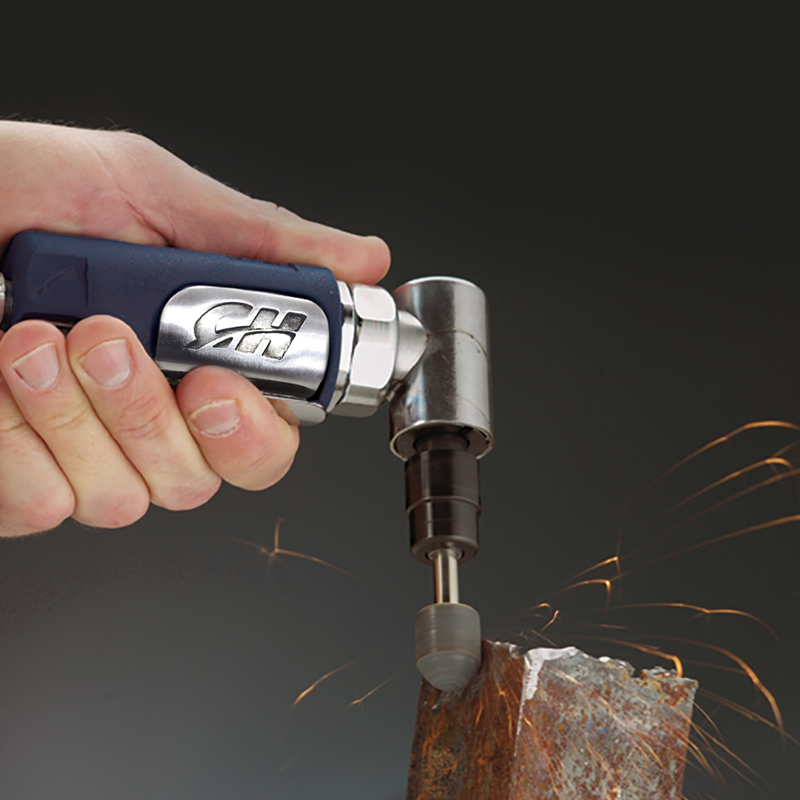 This air angle die grinder requires 3.2 SCFM of air @ 90 PSI.